The 1856 presidential race was the most violent peacetime election in American history. War between proslavery and antislavery settlers raged in Kansas; a congressman shot an Irish immigrant at a Washington hotel; and another congressman beat a U.S. senator senseless on the floor of the Senate. But amid all the violence, the campaign of the new Republican Party, headed by famed explorer John C. Fremont, offered a ray of hope: a major party dedicated to limiting the spread of slavery. For the first time, women and African Americans actively engaged in a presidential contest, and the candidate's wife, Jessie Benton Fremont, played a central role in both planning and executing strategy, and was a public face of the campaign. Even enslaved blacks in the South took hope from Fremont's crusade. The 1856 campaign was also run against the backdrop of a country on the move, with settlers continuing to spread westward facing unimagined horrors, a terrible natural disaster that took hundreds of lives in the South, and one of the most famous Supreme Court cases in history, which set the stage for the Civil War. 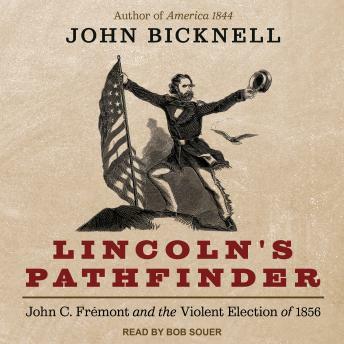 Fremont lost, but his strong showing in the North proved that a sectional party could win a national election, blazing the trail for Abraham Lincoln's victory four years later.